The Centre is all set to issue notices to tighten noose around the entities that deposited huge sum of cash in banks after demonetisation. This comes a day before the first anniversary of the initiative that marked the Narendra Modi government's drive against black money and corruption. Sources said today the Income Tax Department would issue notices to over one lakh such entities and individuals this week. Those with suspected discrepancies between total income shown and tax returns would also face scrutiny. 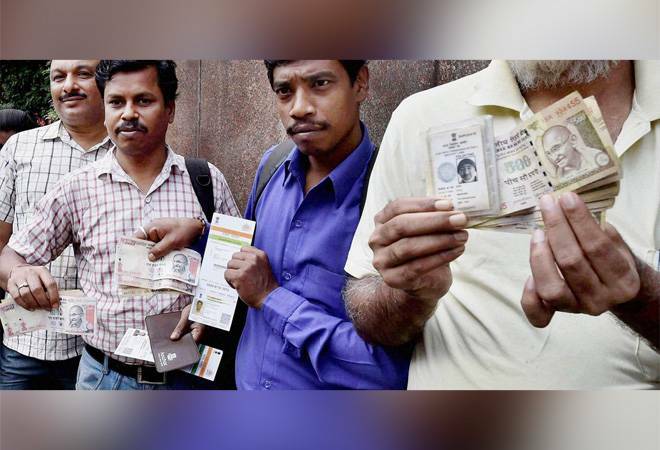 Initially over 70,000 entities that didn't file tax returns but deposited over Rs 50 lakh in banks after the note ban would be issued notices, added sources. Also, they would be asked to respond to the relevant IT department advisories. These notices will be issued under Section 142 (1) of the I-T Act (inquiry before assessment), they said. Similarly, about 30,000 scrutiny notices will be issued to those whose deposits and tax returns were found to be starkly "deviant" from their past behaviour or their accounts showed huge monetary transactions post demonetisation, they added. As many as 20,572 tax returns have been selected for the scrutiny procedure by the department post demonetisation, declared by the government on November 8 last year. The rest of the scrutiny notices will be issued in due course, they added. This action will be followed by the taxman issuing similar notices by next month to those individuals and entities who have made deposits between Rs 25 lakh and Rs 50 lakh post demonetisation. These activities, they said, are part of the 'Operation Clean Money' that was initiated by the tax department in January this year to check black money generation post the note ban. According to official data, 17.73 lakh suspicious cases involving Rs 3.68 lakh crore have been identified by the taxman in 23.22 lakh bank accounts post demonetisation. Responses from 11.8 lakh people for 16.92 lakh bank accounts have been received by the department through online medium till now. "We will again ask people who made bank deposits of over Rs 50 lakh to respond to our notices. If they do not cooperate, we will begin the legal action. Similar thing would be initiated against those who have made deposits less than Rs 50 lakh but over Rs 25 lakh," a senior I-T department officer said. The I-T department had conducted 900 searches between November 9, 2016, and March this year, leading to seizure of assets worth Rs 900 crore, including Rs 636 crore in cash. The searched led to the disclosure of Rs 7,961 crore undisclosed income, according to the official data. During the same period, the department conducted 8,239 survey operations leading to detection of Rs 6,745 crore of black money, it had said.